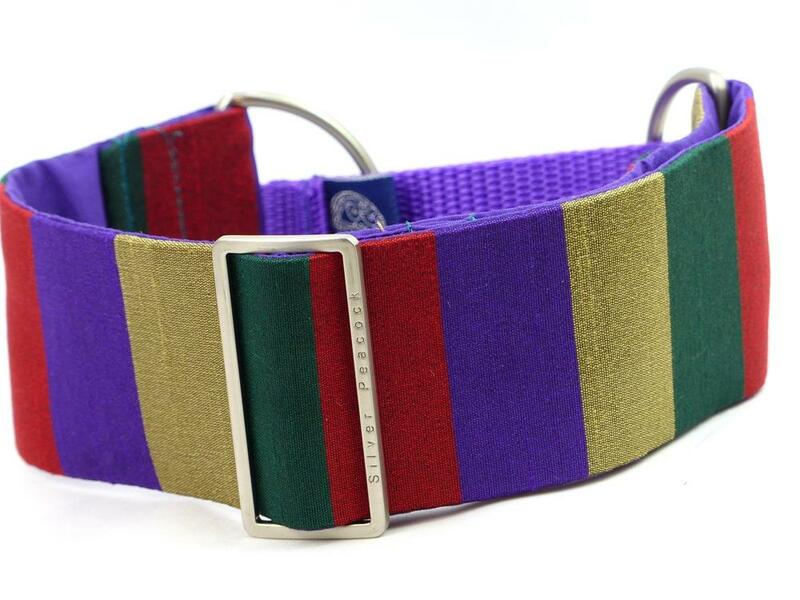 The ultimate classic tweed with a little pop of colour! 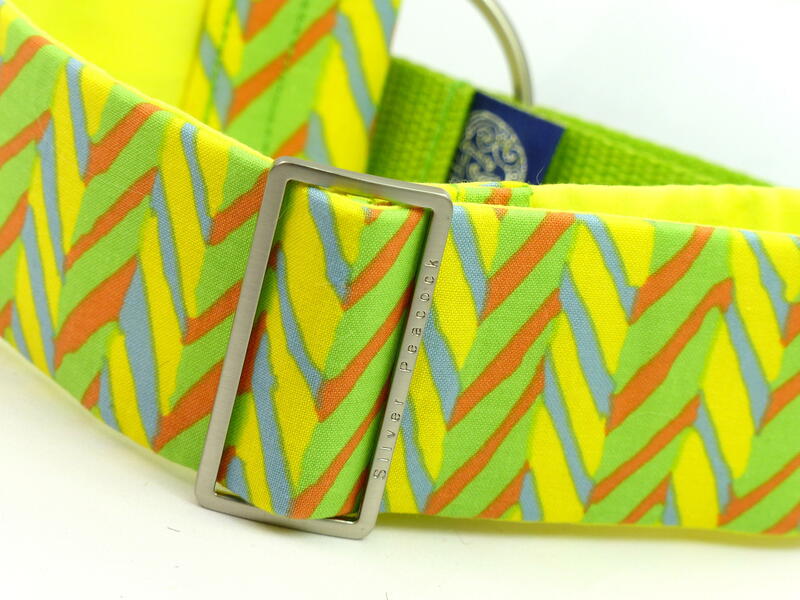 Made from 100% wool tweed, woven in Yorkshire, the fabric is a herringbone design in a mix of lime green and grey-green that gives an overall effect of bright moss green, with an over-check of bright mustard yellow. 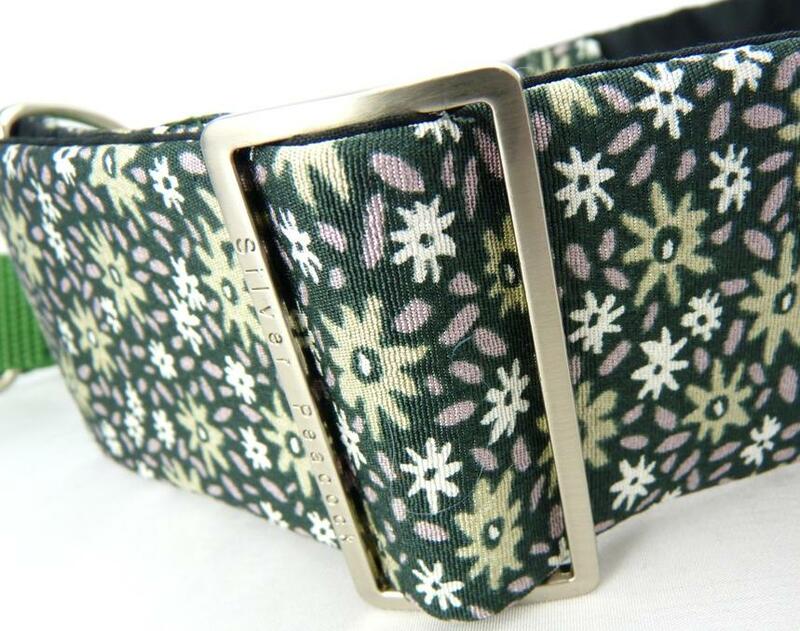 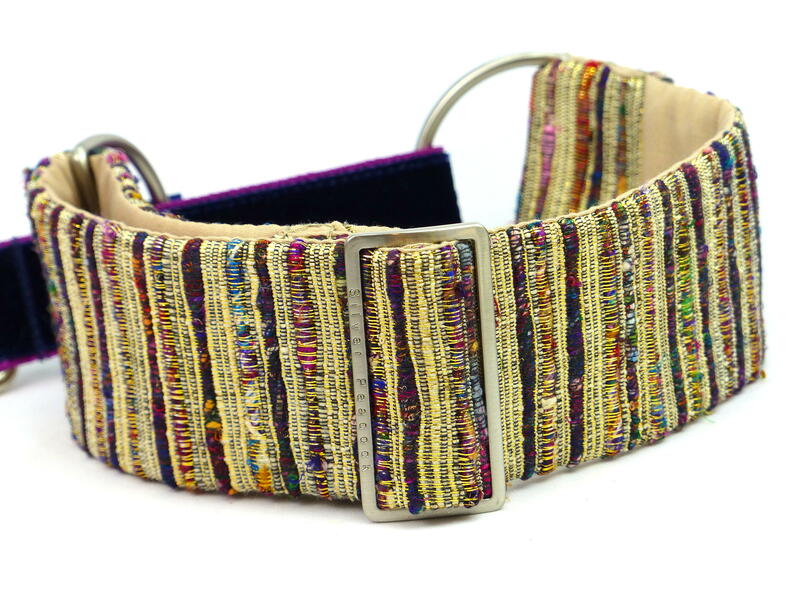 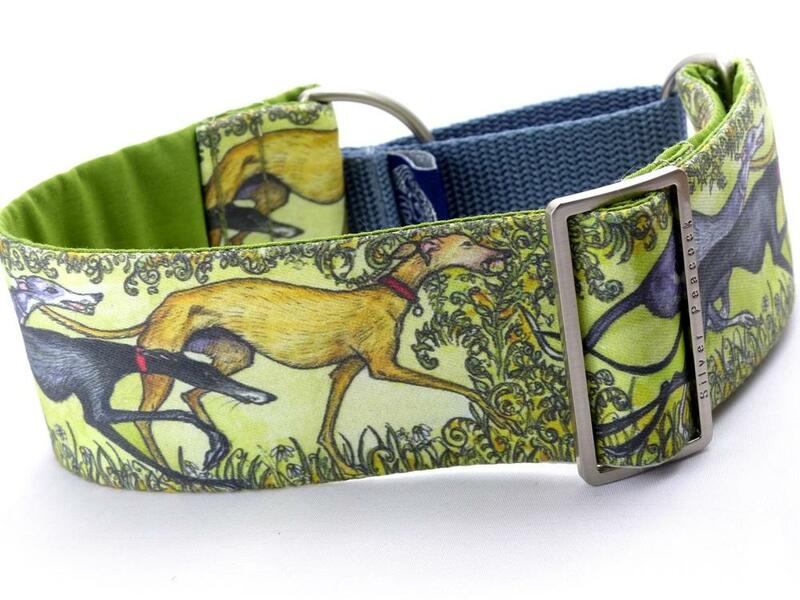 The collar is lined in complementary dijon yellow fabric and is finished with robust silver coloured hardware and a moss green webbing section. 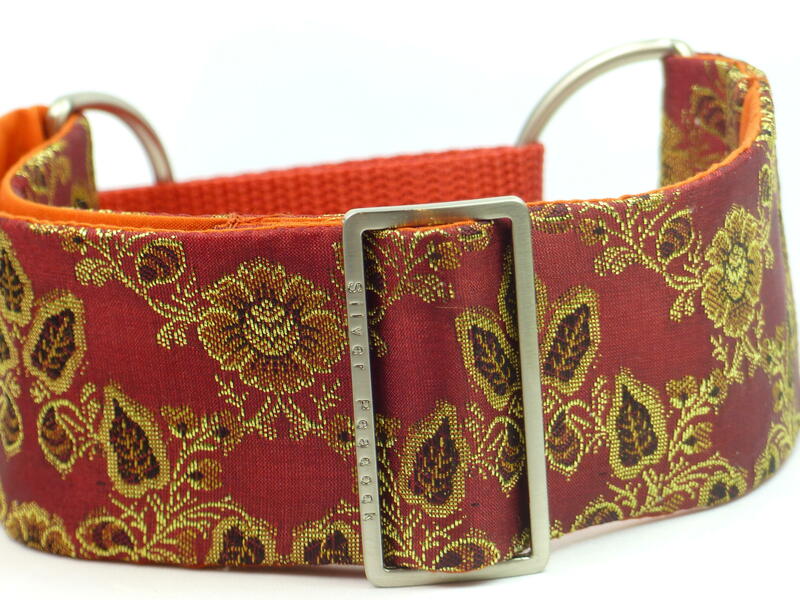 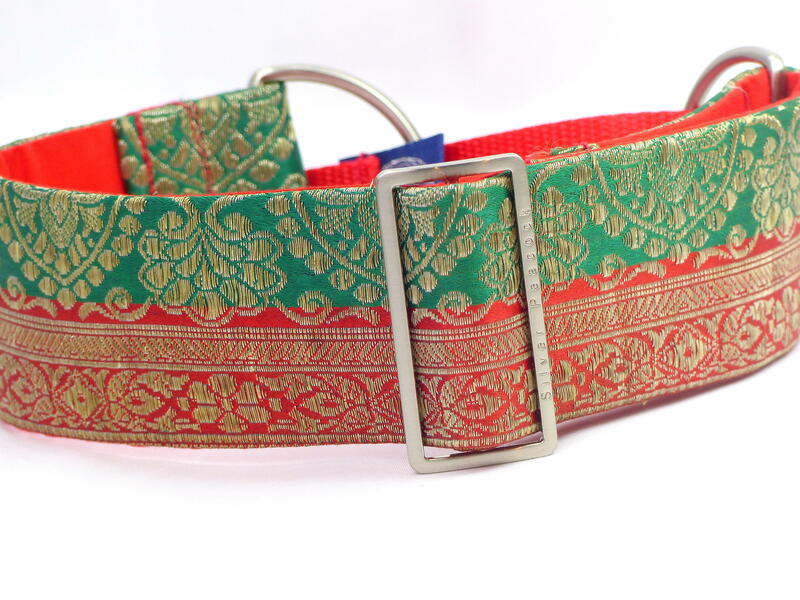 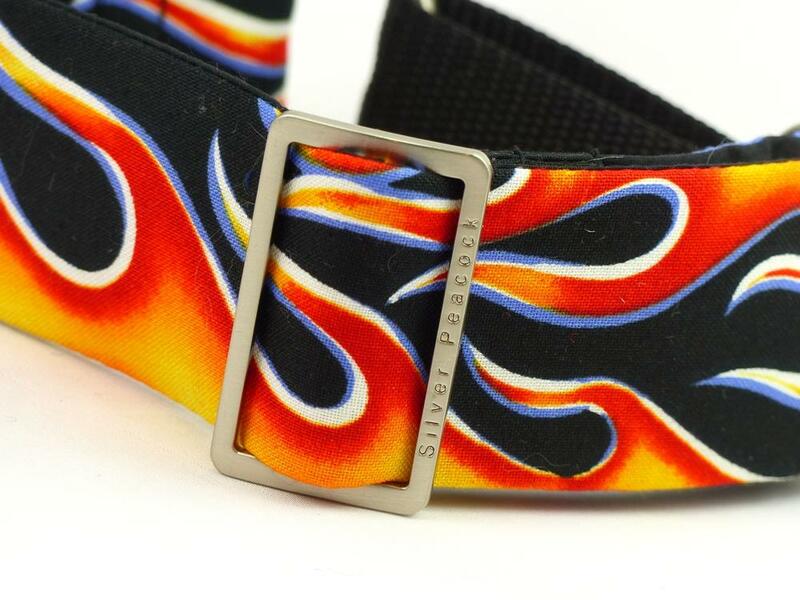 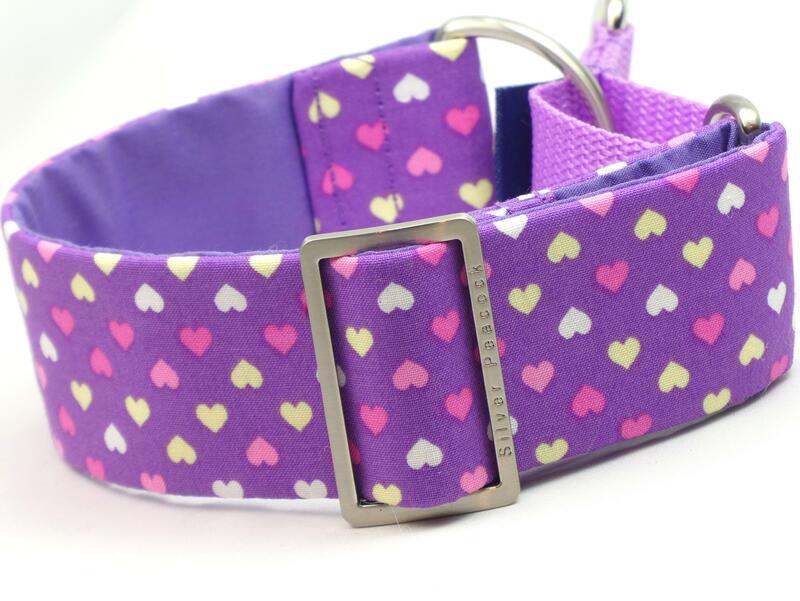 This fabric is not suitable for narrower collars, so we can not offer house collars or dress leads in this design but can make you a gorgeous co-ordinating velvet lead or house collar - just ask!